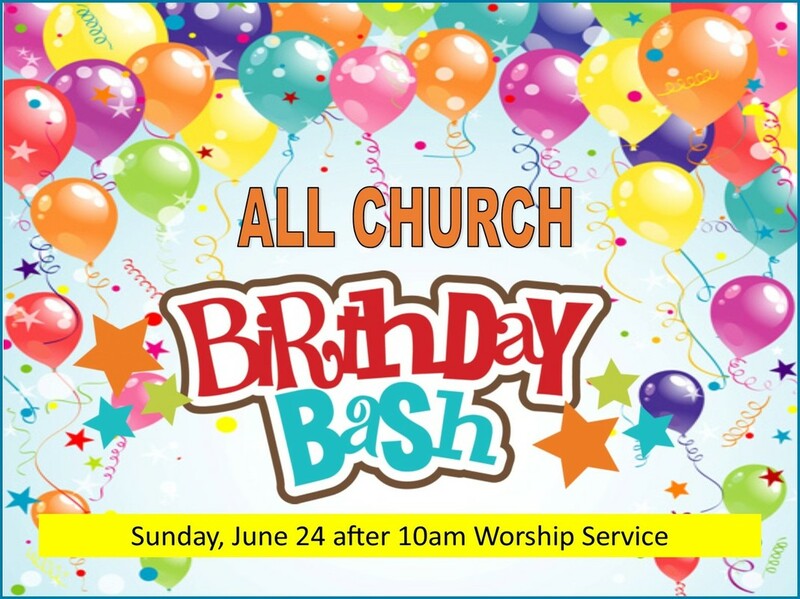 ​It's an All Church Birthday Bash! Come celebrate with us! yes, it’s your birthday too—let’s celebrate how each of us was created by God as a unique individual with a special purpose! We will have 12 months of tables with different themes and are looking for 12 volunteers to host a table. Sign up sheet is in the Fireside Room or contact the church office if you are interested at 262-284-0588.